As the temperature drops and the snow begins to fall, the likelihood of your car breaking down increases. To help you get ready for winter weather, we’ve put together some tips on how to prepare your car for snow. Check the battery. Cold weather can affect the performance of your battery. Make sure you keep an eye on your battery’s charge throughout the winter. If your car’s battery happens to be more than four years old, it might be time to replace it for optimal performance. Take your tire pressure. Your tire pressure can decrease as the temperature drops. Use a tire pressure gauge to check that your tires remain in the recommended pressure range that is noted in the owner’s manual for your car. Bring it in for a check up. 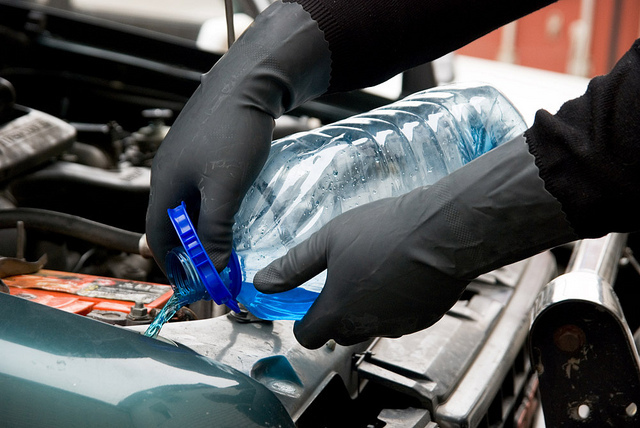 If you’re worried your car isn’t winter-ready, bring it by your local mechanic’s shop and have them check all fluids, especially your car’s antifreeze levels. Replace your windshield wipers. Visibility is important in the winter, so make sure your windshield wipers are in working order. If it’s been awhile since you last changed them — or if you notice and chips or splits in the rubber — you should change them now. There are a number of ways to prepare your car for cold winter weather, but the best thing to do is to simply let us take care of it. Bring your car for service at Hardin County Honda and we’ll make sure your car is ready to take on even the coldest winter.